16 workers demands for better wages and working conditions, workers struck during the student strike against the invasion of Cambodia. 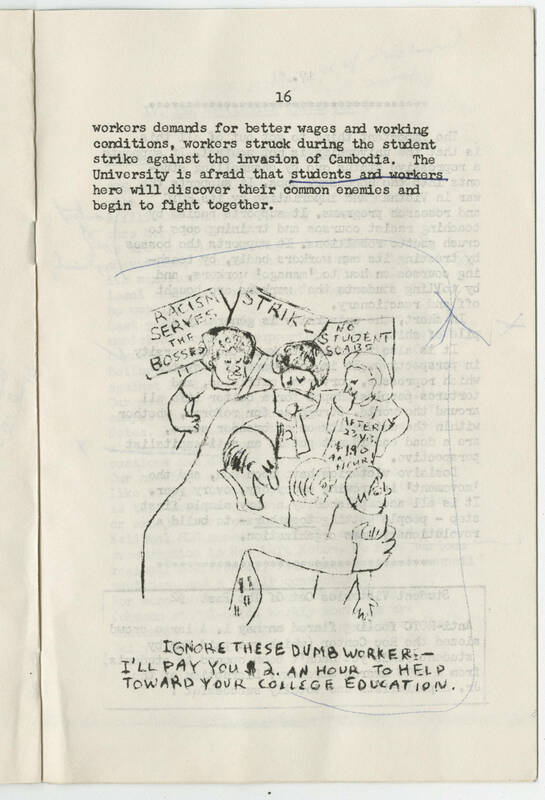 The University is afraid that students and workers here will discover their common enemies and begin to fight together. Racism serves the bosses Stroke No student scabs After 23 yrs. $1.90 an hour $ $ $ $ Ignore these dumb workers--I'll pay you $2. an hour to help toward your college education.